A small multinational group of locals, composed mostly of Americans living in Poland, has begun organizing in Krakow in response to concerns about the new administration of President Donald Trump. The group, calling itself “Cracovians for US Democracy,” sprung out of interest following the small iteration of the worldwide Women’s March in front of the US Consulate last month. They aim to both educate themselves and the community about current events in US politics as well as to actively oppose any actions of the Trump administration which violate the law or human rights. 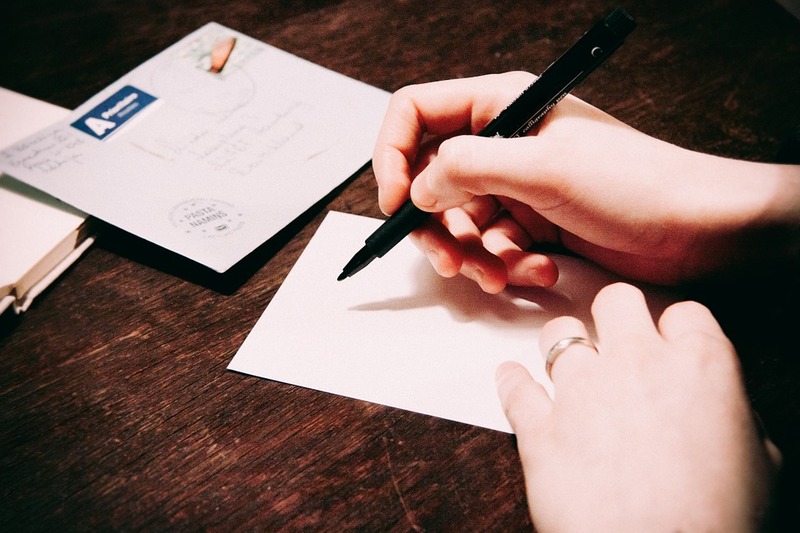 Their first action will be a postcard/letter-writing campaign hosted by (though not affiliated with) the Jewish Community Centre in Krakow’s Kazimierz. Anyone interested in the project is invited (even non-Americans) to create messages to US politicians, NGOs, and other policy-shapers encouraging them to take a stand against the administration. Proposed issues may include the travel attempted ban against certain nationalities, the refugee crisis, the proposed border wall between the US and Mexico, and the construction of the Dakota Access Pipeline designed to transport oil near the water supply and burial grounds of the Standing Rock Native American tribe – though visitors are encouraged to bring their own ideas (as well as a small contribution for postage). The event is this Sunday from 16:00-18:00. NB: The author is a member of Cracovians for US Democracy. Larve this great personality Donald Trump- elected by a majority of the american people -in peace and give him full support. Trump . Thanks for your comment, Erik. In fact, though, Hillary Clinton received over 2.5 million more votes than Donald Trump but lost the election because of the electoral college. The electoral college is what matters, not the popular vote. The Framers of the US Constitution understood the concern of regionalism (i.e., popular vote) and designed the electoral so the entire country would have a voice in electing its public officials. The Framers were concerned that high population centers (such as New York, Los Angeles and Chicago as with this past election) would permanently govern the country and direct the politics of the day to their issues. The Framers at the constitutional covention representing their respective colonies, who just received their independence from England, would not ratify the Constitution and create the “United States” without the use of the electoral college and give each “state” a voice in selecting its leader. People please get past who won the popular vote as it is immaterial as to the election of the US President. Since no real American could vote for the current Democratic party, Mr. Pedersen is technically correct. And that’s before you even account for illegal Soros shipped in aliens. And why are these people calling themselves Cracovians? They are not Cracovians – they’re foreigners. They’re smearing Cracow’s reputation. If they want to speak on their own behalf, let them do so but don’t speak in my name. The seemingly pro-Trumponian PiS politicians have allowed similarity in ideologies to cloud their better judgment. One might have expected that President Trump’s questionable stance about supporting NATO should be cause for concern in Poland. Instead, the populists see a kindred spirit. I hope you’re right and that’s it’s just a question of countries paying their fair share. But people might be forgiven for wondering exactly where the US president stands. In January, he says NATO is “obsolete”. In February, he voices “strong support” for NATO. From an American with Polish blood. Don’t believe what you read in our main stream media. More and more American’s stand behind our President. For the first time in 24 years we have a President who actually talks to and stands for the people. Too many of our politicians support their donors, lobbyist and get caught up in politics, the people have been left behind. President Trump is actually doing exactly what he said he would do, what a breathe of fresh air. For the first time in at least 16 years I no longer fear of the future of my children and grandchildren. I can now see they has a shot to live free, have a job and raise a family. Prior to Trump the future for my children was bleak. President Trump is a builder, not a destroyer like our past leadership. I can now see a future with less war, more leadership, more peace among all. The Orange Clown has divided our country and has been an embarrassment from the day he decided to run. He is in this for the prestige and monetary gain and nothing else. Anyone who believes otherwise is going to come to this realization very soon, and hecwill be removed from office to go back to his TV shows, where he can do no more damage.